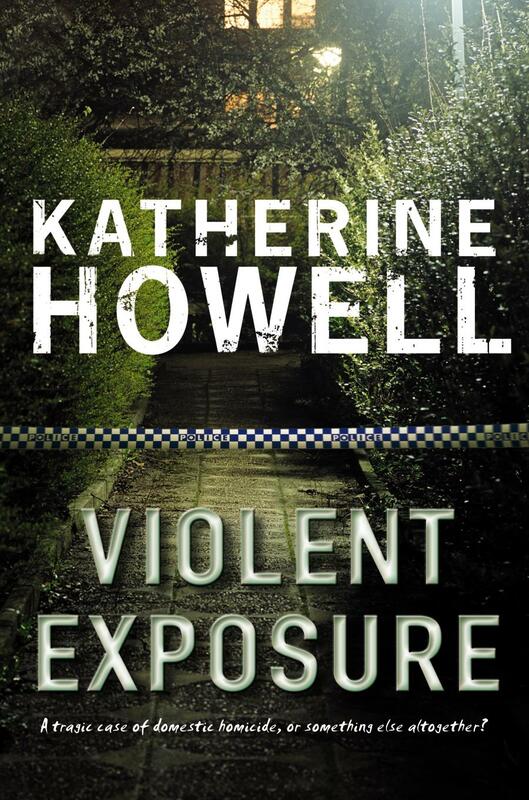 Congratulations on the success of all your thrillers Frantic, Darkest Hour, Cold Justice and Violent Exposure. That’s quite a list. With all those books published you must be a millionaire, right? Living in the land of the rich and famous? I wish!! Overseas sales help to bump up the income, but because foreign publishers have to factor in the cost of translation, when times get tight (as with the GFC) so do overseas deals. As an overall average, think minimum wage, then take a little bit off. Do you have a favourite of your books? Why/Why not? I don’t have a favourite. 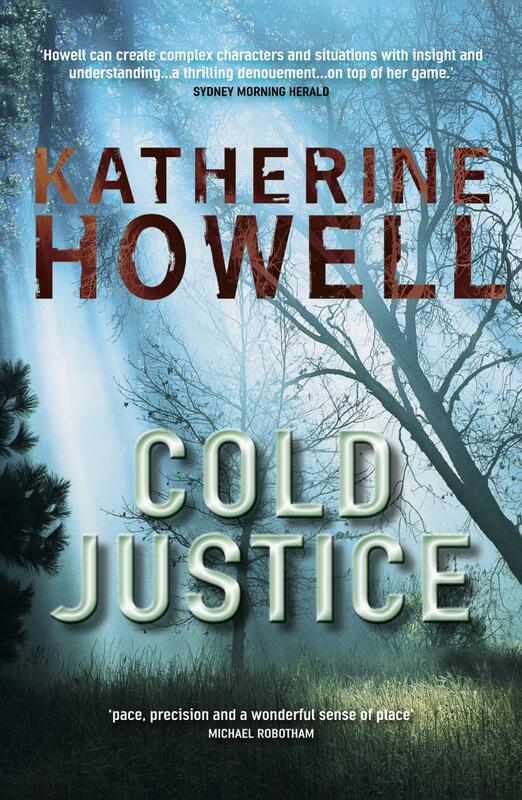 They hold special places in my heart for different reasons though: Frantic because it was my first, The Darkest Hour because it often seems to be in the shadow of the others, Cold Justice made the bestseller list, Violent Exposure was my most recently published and was reviewed as being even better than CJ, and Silent Fear because it’s the next one to come out. I also always love the one I haven’t yet written – so full of promise! When we first met about eight years ago you were working on an early draft of Frantic. You were also writing a thesis on building suspense. Can you give us a quick few pointers on how to make our stories more suspenseful? To develop suspense, a writer needs to 1. have characters the reader cares about and 2. make that reader feel uncertain about what’s going to happen to those characters. ‘Caring’ in this context can include feelings of curiosity and being intrigued – think Hannibal Lecter – though more often it’s understood as liking, or sympathy/empathy/identification. Uncertainty is built by posing questions that the reader desperately wants answered: Will the friends get to the bridge in time and escape? Will the separated lovers ever meet again and fall in love? Will the detective catch the criminal before he kills someone else? One question like this isn’t enough to sustain a whole work, however, so the writer has to pose and answer questions in each scene and chapter too, some of which will be answered sooner, some later. How long did you work on that first book? Between all the crappy drafts then the reworking according to what I learned about suspense I reckon it was about six years. I did however write three other terrible MSs before that too, so all up from the time I started seriously working on novels to when I got published it was seventeen years. And worth every day. Was it easy to find a publisher? I’d shown my agent one of those earlier awful MSs and she’d given me some feedback, which I’d then applied in further drafts, then I eventually put that away and moved on to those early drafts of Frantic. She read those too and gave me good feedback. After the suspense reworking, when it was finally ready to send out, it sold to the first publisher she approached (Pan Macmillan.) To say it sold so quickly makes it sound easy, but because getting to that point involved years of hard work it wasn’t easy at all. What about the others? Did you suffer from second or third or fourth book syndrome? Does it get any easier? 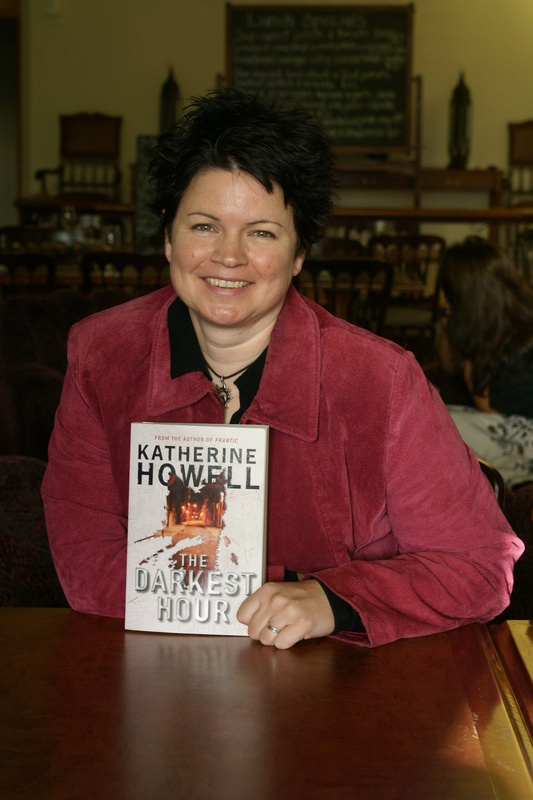 I found writing the second book, The Darkest Hour, at times absolutely terrifying and so difficult. This was mostly because having taken so many years to write Frantic (and the previous MSs) I suddenly had just one year and a very clear deadline to finish TDH (and at the start I had only 10% written). Also, I wanted TDH to be a better book than Frantic (everyone wants to improve, right?) but had no idea how to make that happen, or even what that really meant. Frantic had such a great reception, as well, so I was frightened of producing something bad and feeling that maybe I’d had only one good book in me. I ended up getting a one month extension on the deadline and it all turned out fine. It gets easier in that I know that the writing of each book feels awful. I keep a diary with each one and I can look back over them and see they’re all full of fear, me worrying about how this time I’ve really lost it, the other books might’ve turned out okay but it’s all over now. The work itself doesn’t really get easier: climbing a mountain is still climbing a mountain, and having done it before means you know how hard it is and that having survived it once you can do it again, but that’s about it. At the moment you’re doing a PhD in Creative Writing and working on a new novel that’s not part of the series. How are you finding this experience? What element of writing are you exploring this time in your essay? I’m finding it a challenge in that I’m using first person for half of the work, and Detective Ella Marconi’s not there and I have to fight the urge to bring her in! I’m enjoying it though. For the thesis I’m studying women doctors in crime fiction and their approach to the body, so I’ve had some lovely times researching such things as the history and development of the autopsy, and am looking forward to rereading some of the books of authors Patricia Cornwell and Tess Gerritsen. You have a wonderful agent in Selwa Anthony. Can you tell us a bit about how you found her and the types of things she does for you? Selwa really is wonderful. An author and friend sent my work on to her back in the late nineties, and though I was still working on those awful MSs then she took me on. I think she’s incredible for that: she gives time to writers who may not be ready to publish yet but in whom she sees potential. She read my work and gave me feedback and never saw a cent for her time and effort until we got the contract for Frantic and TDH in 2006. Now I send her the novels when they’re complete and ready to go to the publisher, but I also send her work when I feel stuck – eg, a few months ago I sent her the first half of my new book, Silent Fear, saying I didn’t think it was working. She said, ‘You always do this at the halfway point!’ and read it and reassured me that it was working well. In addition she handles the contracts and money side of things, which means my relationship with the publisher can be all about the work rather than negotiating terms. Those contracts are like the contracts when you buy or sell a house, too – huge and complicated, and so you need advice on them. You’ve always been supportive and encouraging of new writers and do a lot of teaching of writing at the Queensland Writers Centre and in other venues. What are your top five tips for beginner writers? 1 – never give up. No writer who’s published now was certain they would make it. Maybe your work isn’t up to scratch just yet, but neither was mine once. It might take years of effort, and there’s no guarantee of anything at the end, but if you give up you definitely won’t get there. 2 – write because you love it. Even on those tough days when the mountain feels impossible to scale and I think of all the other things I could be doing with my time, I know that it’s more than compensated by the moments when a sentence comes out just right, a character’s dialogue feel so perfect for them, or a scene does exactly what I’d hoped. If your goal is publication, that’s great, but it can’t be the sole reason you write. Even if you get published to enormous acclaim, the fuss and signings and events soon end, and you’re back at your desk, just you and your work, with months or maybe years until the hoopla happens again. Those short periods won’t sustain you if you don’t enjoy the long periods of work between them. 3 – be prepared to work long and hard. Chances are your first novel manuscript isn’t going to be good enough to publish, and probably neither’s your second. Some people are the exception to the rule, but for the rest of us it takes years. 4 – be prepared also to let go of those early mansucripts. You’ve written one, you can do it again! Once you are published, you want to keep being published, right? You need to have the mindset that you are a writer who keeps on writing. If I hadn’t been able to move on from my early MSs, you wouldn’t be reading this. 5 – editing is key. No first draft is excellent. It’s all about getting the ideas down, the people, the bones of the story. The reworking that comes later is what turns it into a polished work that readers can enjoy. Be prepared to put in the work to learn how to edit yourself; it’s an essential skill. Pull apart the work of writers you love and see how they do what they do: how are they telling the story? How do they make you feel sad, or excited, or in suspense? Train your eye so when you look at your work you can tell what doesn’t work and why. Thanks so much Katherine and best of luck for your new book, Silent Fear, going feral and selling like hotcakes all over the world. Rich and famous here you come! Very useful advice, Katherine … and great post, Edwina!